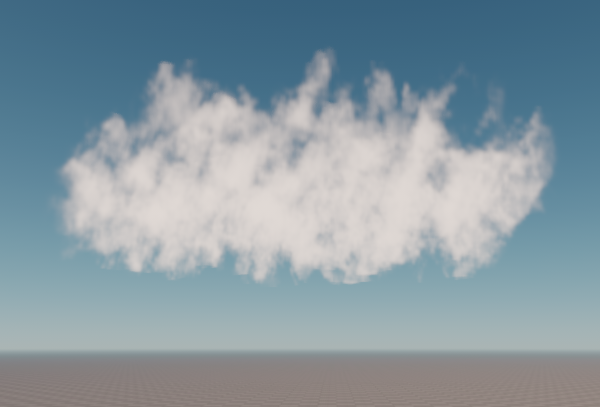 The volume_cloud_base material is used to create clouds or shaped fog. It is applied to Volume Box objects. Defines how many times a density texture is sampled to render a cloud. The higher the value, the smoother and less discrete the cloud is. To increase performance, use low Samples values combined with a higher Jitter value. 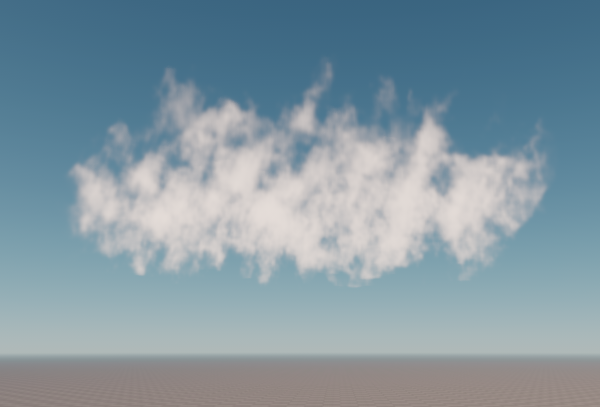 If enabled, the attenuation texture is used to define the cloud color. 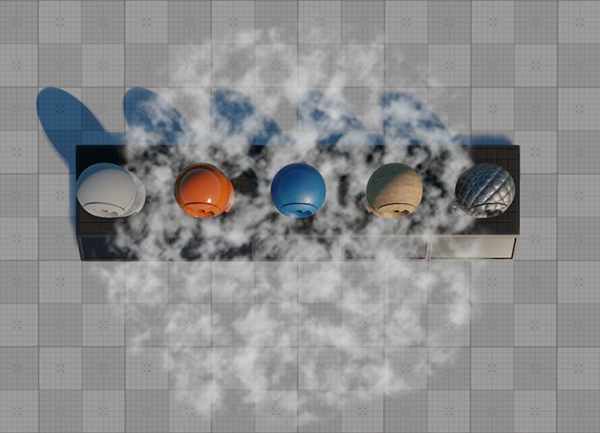 If enabled, the sky color is used as a multiplier for the cloud's diffuse color. 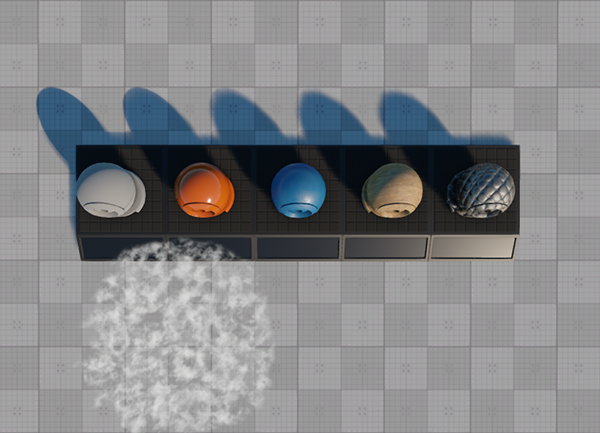 Enables soft interaction for volume boxes and other objects, so that the interactions would not be sharp and cause artifacts. A volume object fades out to the intersection plane: the color of the volume box and the object is smoothly interpolated in case they are approximately of the same depth value. 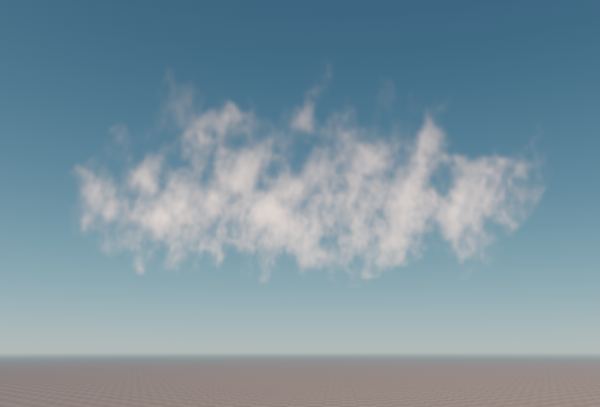 Use of the texture depends on the Attenuation state: if disabled, the density texture is used, if enabled—the attenuation texture is used for the cloud. RGB values store the color of the texture. A value stores transparency values. All other values of the texture are ignored. 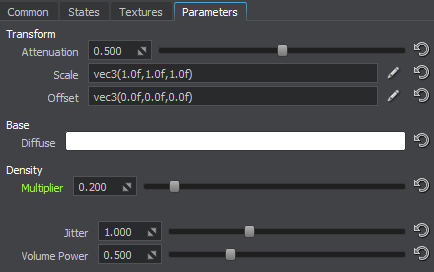 In the Parameters tab, you can set or modify base and additional parameters. Coordinate transformation of the density texture. UnigineScript expressions can be used in this field. An offset of the density texture along X, Y, and Z axes respectively. UnigineScript expressions can be used in this field. A coefficient to scale the density of the cloud. 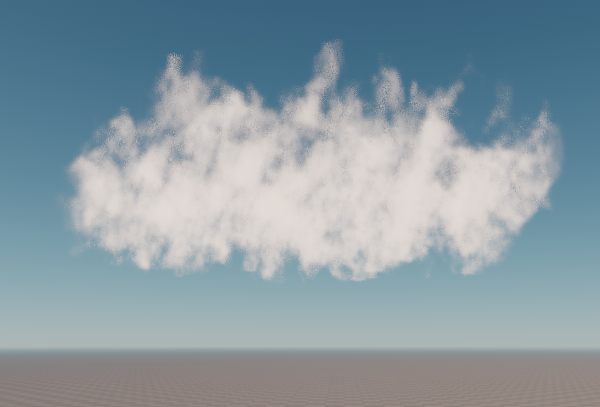 The higher the value, the thicker the cloud is (if a default texture is used). This parameter determines smoothness of the cloud with a small number of samples. The higher the value, the smoother the cloud is. Specifies if the cloud density reduces from the edges of the volume box to its center. The higher the value, the more the cloud reduces.